Enzymedica Enzyme Nutrition Two Daily Multi-Vitamin contains Enzyme-Activated Nutrients™ as part of ..
Enzymedica GlutenEase contains Protease Thera-blend™ (G1) along with DPP-IV activity for enhanced di..
Enzymedica GlutenEase Extra Strength contains Protease Thera-blend™ (G2) enzymes along with DPP-IV t.. Rapid Relief for Occasional Heartburn*Protects*The innovative alginate formula creates a "raft" of g.. 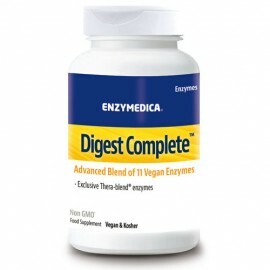 Kids Digest provides digestive enzymes that help the body break down the components of a meal, like ..
Enzymedica Lacto contains lactase and eight other enzymes that work synergistically to digest dairy ..